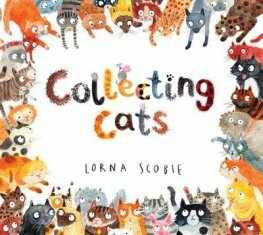 I have to say I absolutely love cats, so when I discovered that Lorna Scobie had created a book all about cats how could I possibly resist? ‘Collecting Cats,’ takes a charming and chaotic look at what happens when your desire to own lots of cats gets out of hand. 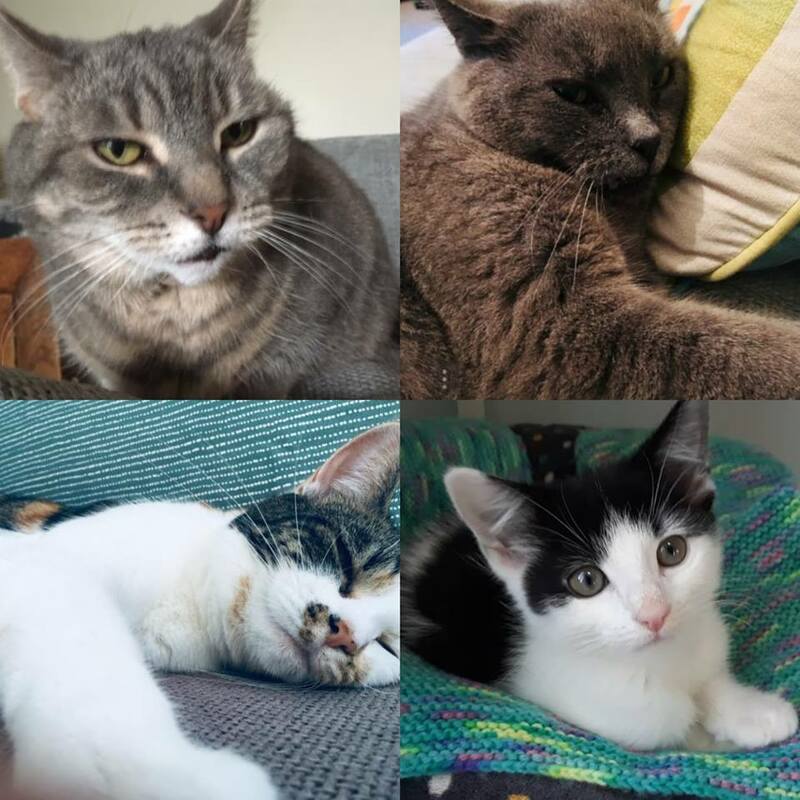 As you can see I have a bundle of cats of my own ranging from the loopy Albus who is five months old, to my two year old naughty tortie Luna and finally the grand old dame Simba who is fourteen years old. Sadly we lost our lovely Nala last year but I can’t talk about my cats without mentioning her. So just do you go about collecting cats? Well you need a cunning plan for starters! Cats chase mice and mice eat cheese, so we need a mound of cheese to lure in the mice so you can lure the cats. But what happens when your plan is so successful that things get out of hand? Can you have too many thin, fat, fluffy, spotty cats? Well when the cats are bigger than your average feline then you know it’s time for a new plan. Lorna’s sumptuous spreads capture all the mayhem and madness unfolding just brilliantly. This is a purrfect story for cat lovers everywhere with it’s celebrations of cats with all their different and endearing personalities. 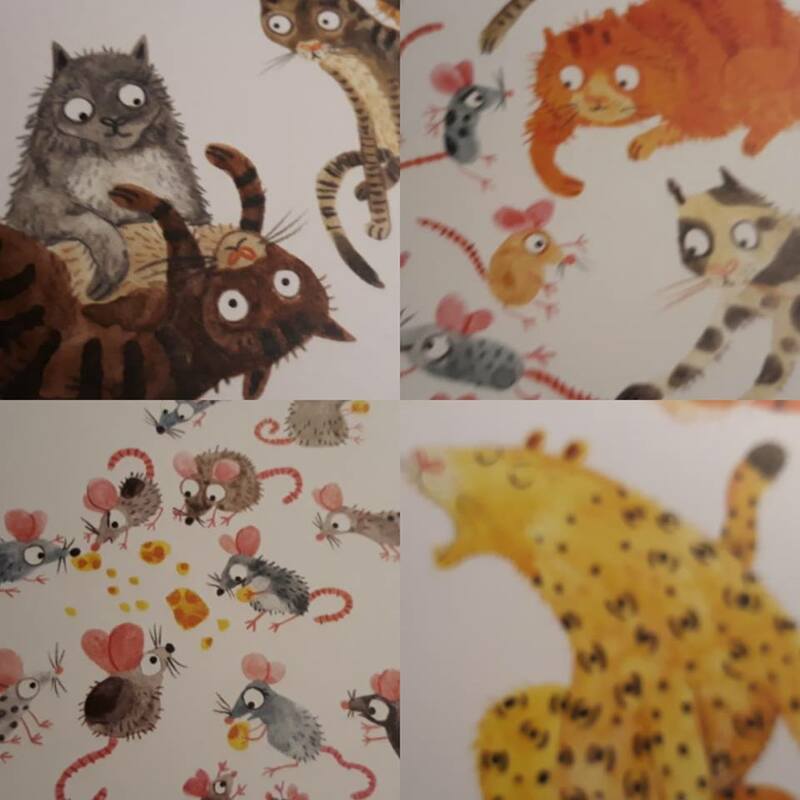 Younger readers will be charmed and delighted by the crazy antics and will enjoy poring over the book spotting all feline fun bursting out of the pages. Incredibly detailed and intricate illustrations mixed with an hilarious story make this book a joy to behold. Thank you to Scholastic for sending me a copy of this felinetastic book. ‘Collecting Cat’s is available to buy now online or from any good bookshop. This entry was posted in Uncategorized on January 22, 2019 by bookloverjo.